Amy Poehler, Mindy Kaling, & Oprah Winfrey Wrote Profiles For The 'Time' 100 List, But Why Weren't They On It? Guys, we need to talk about something important. Today, TIME Magazine revealed the Time 100, their list of the 100 most influential people in the world as of 2015 (in their opinion, anyway). While any such list is always going to be subjective, of course, I still think it's worth discussing how and why the people chosen actually made the cut. TIME editors choose the 100 public figures from several categories, this year's broken down into "Titans," "Pioneers," "Artists," "Leaders," and "Icons." The profiles of the honorees are written by fellow celebrities, but there's one thing that sorta irked me about that this year: the people writing the profiles were sometimes more worthy of being on the list than the ones they were writing about. What gives? Consider this: Reese Witherspoon, who gained considerable attention in 2014 for her starring role in the big screen adaptation of Cheryl Strayed's Wild , is listed as a "Pioneer." I won't get into whether the movie was good or bad, but was it really all that influential? I doubt it, but there she is on the list. More baffling, however, is the fact that her profile was written by Mindy Kaling, one of the few successful women of color working in comedy today. She has her own show, has written her own book, and continues to break boundaries for women and people of color with her no apologies approach to making us all laugh. If that's not influential, what is? Unfortunately, it doesn't stop there. America — and actually, probably most of the world — fell in love with Chris Pratt over the past year. From his beginnings on Parks and Recreation, Pratt has gone on to star in majorly successful movies like The Lego Movie, Guardians of the Galaxy, and soon, Jurassic World . He is entertaining, sure; endearing, absolutely. But influential? I'm not convinced, unless we mean "influencing casting directors to put him in more action movies." However, the woman who wrote his profile is undeniably changing the game on a daily basis. 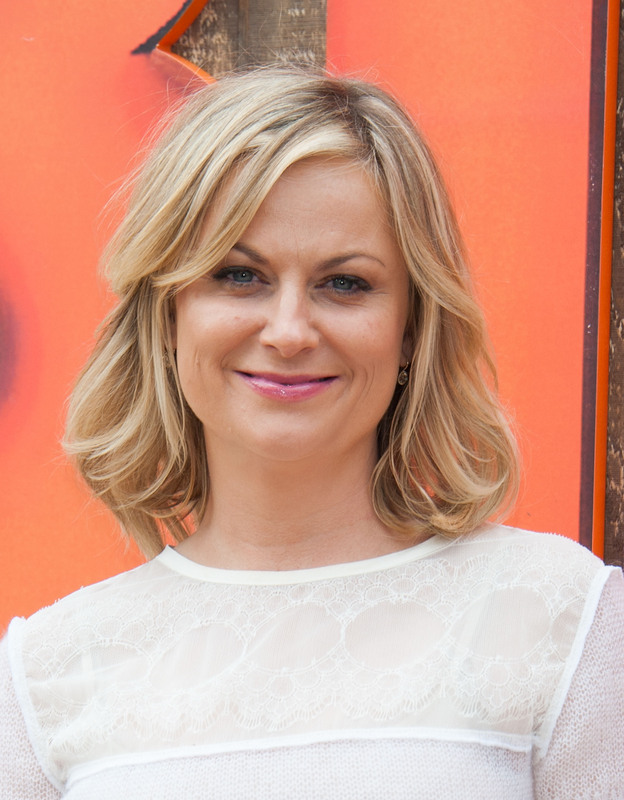 Amy Poehler is another fearless actress, comedian, and activist who constantly puts herself out there to encourage young girls to believe in themselves, to be kind, to follow their dreams and never allow anyone to put them down or bully them. Isn't that what should inspire us? And yet Poehler is nowhere to be found on the TIME 100. But I'm not finished yet — there are plenty more errors, one of which is the decision to exclude Oprah Winfrey from the list in favor of having her instead write the profile of honoree Lee Daniels. Certainly Daniels, with whom Winfrey worked on The Butler, deserves his place as a member of a group of esteemed influencers, but then, doesn't Oprah, as well? After all, if ever there was a story of a person who came from nothing to gain everything, hers is it. She remains one of the richest women in the world, not to mention one of the most continuously charitable and dedicated to helping those who come from backgrounds similar to her own. While it'd be silly to say she's in the height of her career, Oprah still remains an important public figure and one more than worthy of inclusion in TIME's list. Of course, as I mentioned previously, the Time 100 is nothing if not subjective. The magazine's editors select individuals based on their ability to change the world, for better or worse, and that's fair enough — what they call change, I might call momentary entertainment, but it makes no difference. While inclusion in TIME's list is perhaps a bit loftier than, say, People's Most Beautiful, it boils down to the same thing: singling out people based on personal opinion. The fact that Poehler, Kaling, Winfrey and plenty of other influential women are absent from this list doesn't make them any less influential, it just means TIME's selection criteria is a bit different than my own would be. At the end of the day, these women are still going to be out there doing their thing and changing the world in their own ways, whether or not a magazine lionizes them for doing so.